Piezo pickups are a great and inexpensive way to “electrify” an instrument, but they don’t have a lot of output. A preamp is normally used to boost the signal to a more usable level. Instead of installing a preamp on every instrument that I make, I decided to make a pedal. 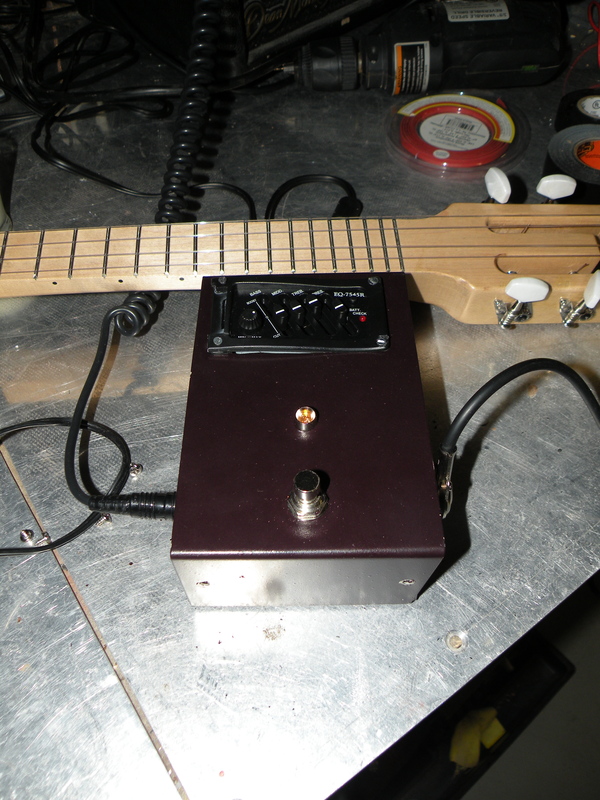 I used a piezo preamp system that would normally be installed on an acoustic guitar. I also used a heavy duty triple pole double throw(3PDT) stomp switch, an LED, a resistor, a metal enclosure, and an extra mono jack. 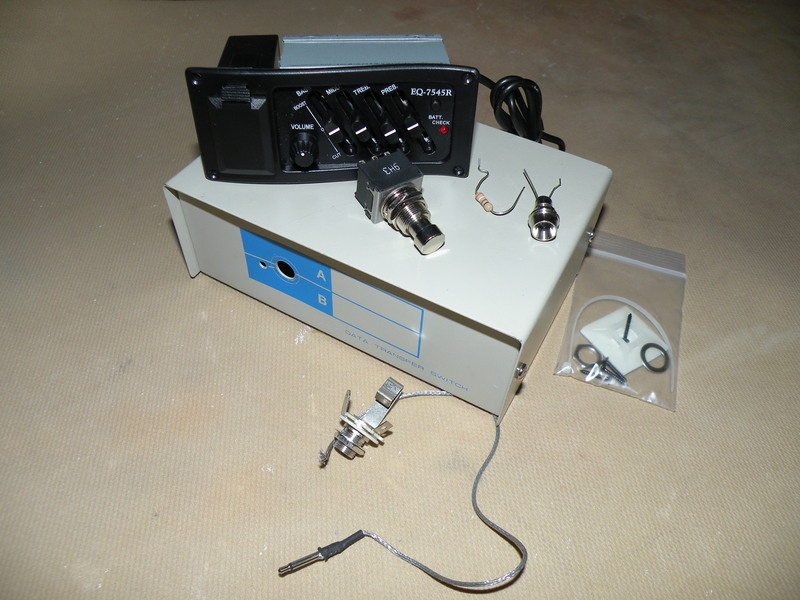 The piezo preamp is an inexpensive model that I bought online. 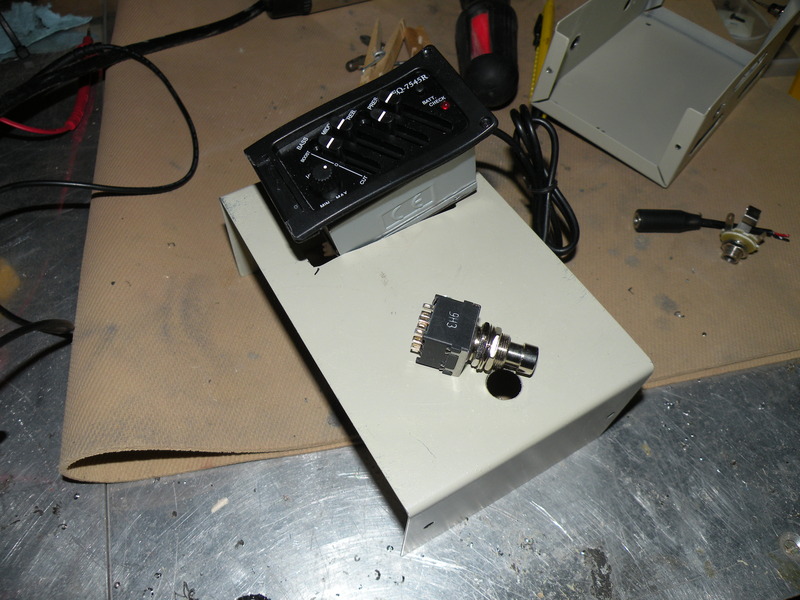 I cut out a hole for the preamp and drilled holes for the jacks and switch. 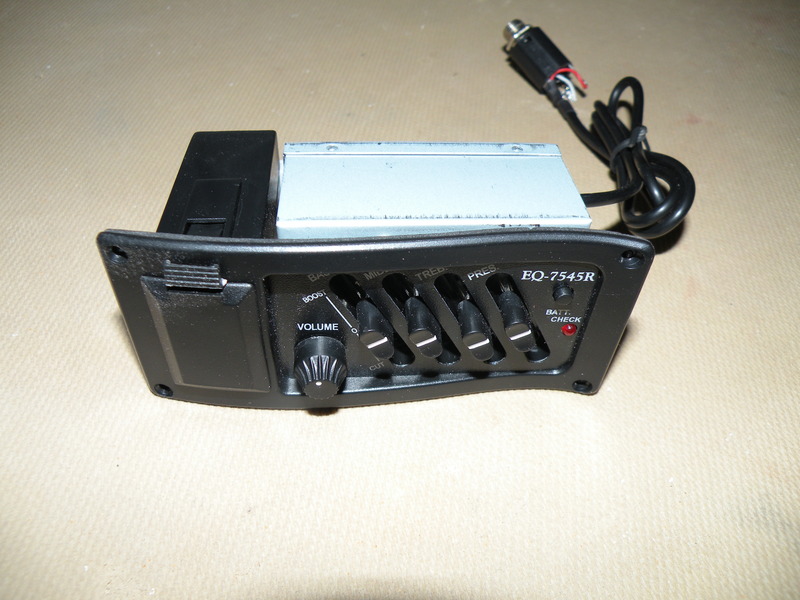 The preamp is now smaller because I trimmed off the 9V battery compartment. 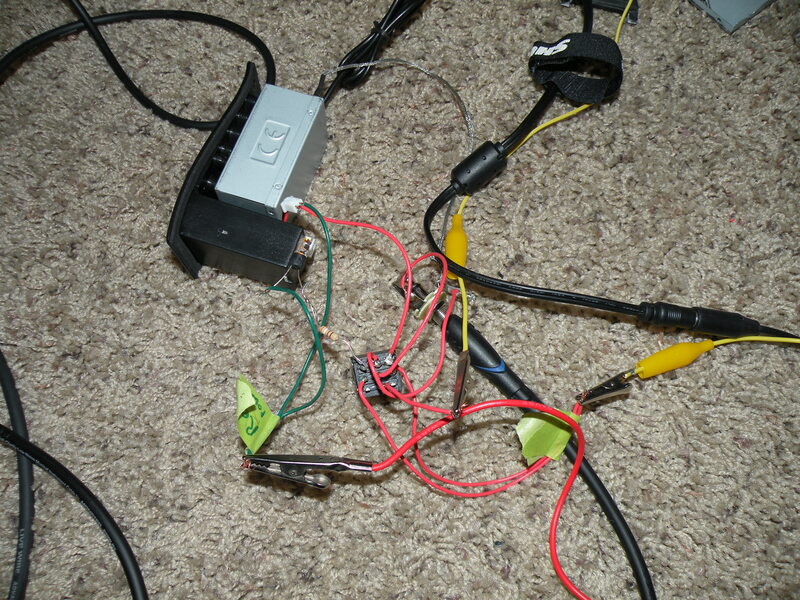 This mess is my prototype to make sure that everything is working properly. [Setting 1] LED off. Preamp off. Bypass preamp. [Setting 2] LED on. Preamp on. Through preamp. 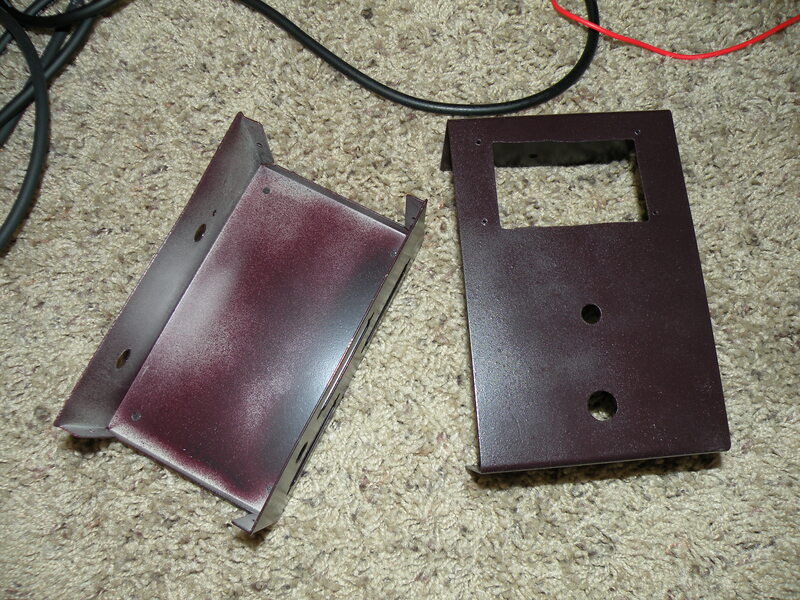 I painted the enclosure with some leftover paint from this project. I assembled and bench tested it. It is now the first pedal in my pedal chain. 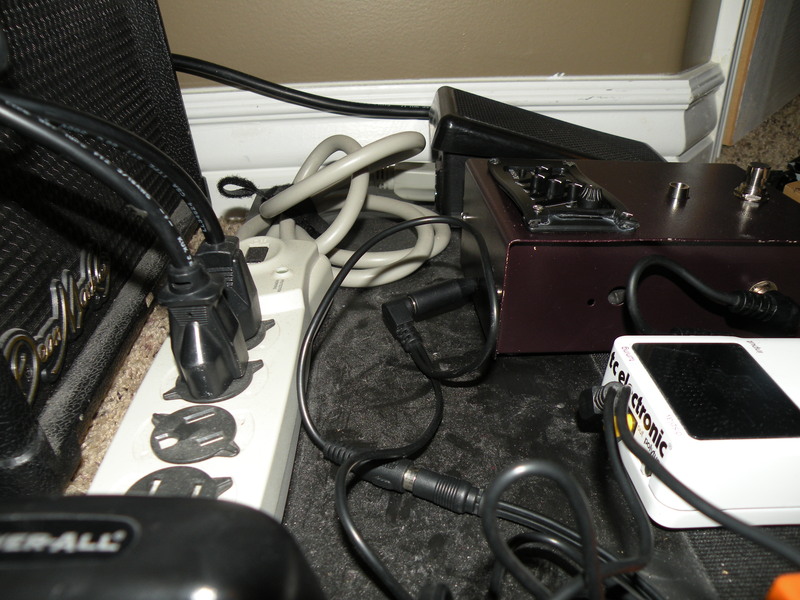 The preamp pedal is now a worthy, albeit somewhat bulky, addition to my pedal board. 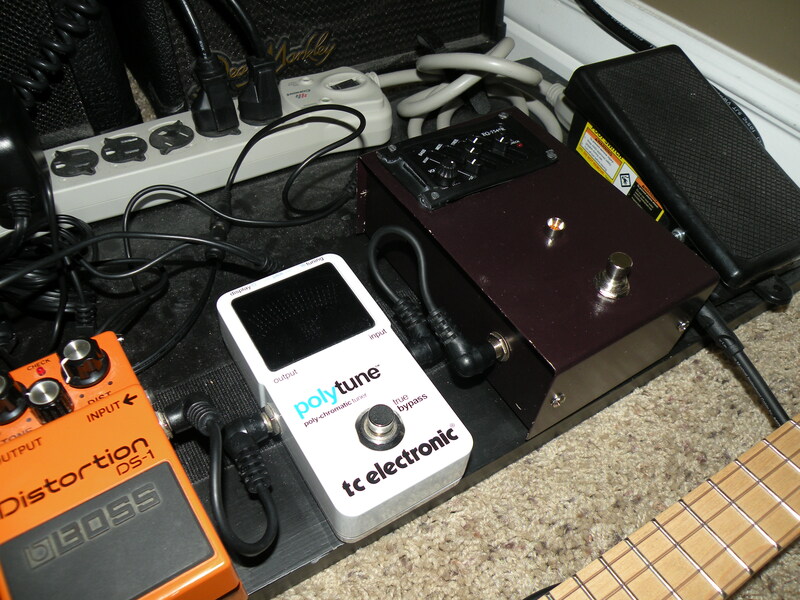 This entry was posted in Accessories, Daniel Hulbert's posts, General News, Ukulele Gear by CircuitsAndStrings. Bookmark the permalink. Great stuff Daniel – I can see that you’re the man to help me with my lack of electronics know-how. 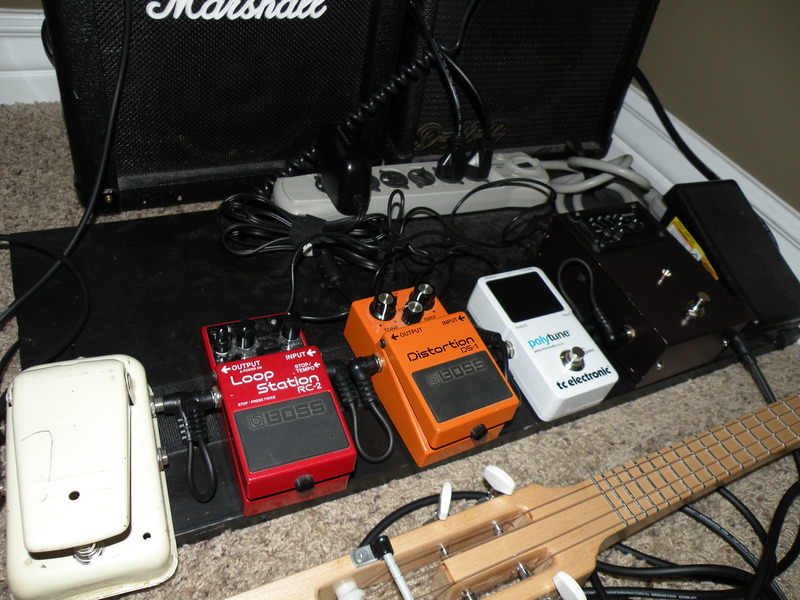 I like your pedal board. I think I’ve got that same Boss Distortion pedal hiding away somewhere in my cave! Once upon a time I gigged with a Marshall Tube-amp – boy was it loud… and heavy! Never heard of Dean Markley amps… but I’m learning. This is a really neat solution to amping a piezo. The bit I’m missing is the piezo part. Can you simply wire a piezo to a jack socket and away you go?